Why buy an expensive cat tree from the store when you can easily build one for a song? 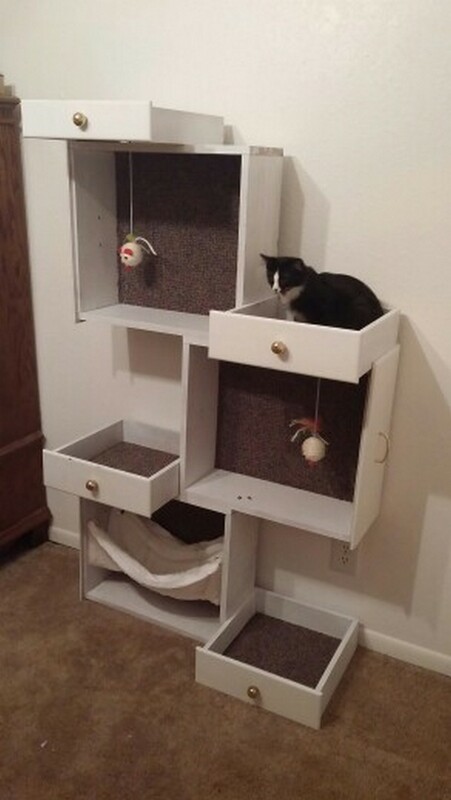 Why, you can use old drawers to make your DIY cat tree! It’s simple, fast, easy and clever! But aside from being an inexpensive cat tree idea, we like that it is also very unique for everyone. There is no specific step-by-step process, no single set of measurements, no particular finished product. You can build it however you want and finish it according to your aesthetic preference! You can get a step-by-step tutorial here! Previous PostMake an awesome skateboard swing for the kids! Next PostBuild your own chicken tractor!